Practice this exercise whenever you need self-comforting and calming energy. Start by placing right hand over the middle of your chest, and left hand on top of right hand. Close your eyes and begin breathing in and out slowly. Envision the color emerald green swirling around in the palm of your hand and flowing into your Heart Chakra. Focus your intent on filling your Heart Chakra with warm and radiant loving energy. Breathe deeply and allow the calming warmth to flow through your entire inner being. This can bring a feeling of unconditional love and sometimes tears from the feelings of comfort, relieve, and gratitude. ENJOY! 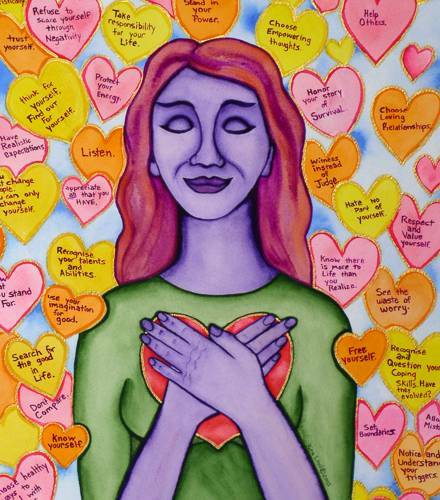 The Open Heart Chakra is about love, kindness, and affection. However many emotions, such as love, hatred, grief, joy, jealousy, fear of betrayal, feelings of isolation and loneliness and the ability to make ourselves feel better, are all centered in the Heart Chakra. When it is open, we are compassionate and friendly, and work at harmonious relationships. 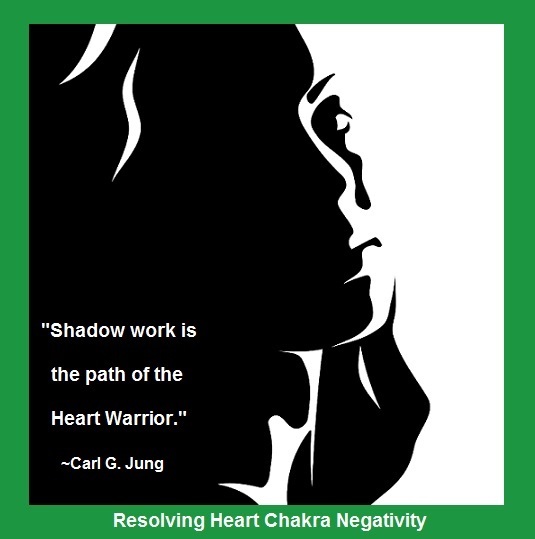 If our Heart Chakra is under-active, we can be cold and distant. If this chakra is over-active, we are suffocating people with love and possibly for selfish reasons. 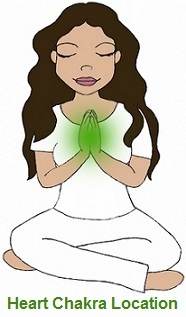 The healing colors for the Heart Chakra are green and rose. The flowers for the Heart Chakra are roses. 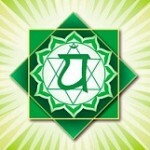 Heart Chakra Affirmations are about Unconditional love. The healthy Heart Chakra is all about Vegetables and Fruit.